Book Cover Templates at Star Print Brokers. I am in the process of finishing a coffee table book using your 8 x 10 landscape template. It is 150 pages. I am looking for a book cover template too. Could you please direct me to a suitable cover template? Yes and no … The reason we don’t supply any book cover templates to download online is because there are so many variables. Aside from whether the book is a hardcover or soft cover, there is also the spine width to adjust. The width of the spine depends on how many pages are in the book, and the thickness of the paper as well as the binding style. The final page count may vary from the author’s page count, as we print on press in signatures. A 150 page, 8 x 10 landscape-oriented book becomes 148 pages or 152 pages because of the number of pages that fit on a large sheet, printed front and back. This is a signature. Most soft cover, paperback books, consist of the front cover, back cover, and the spine. However, we also offer the feature of adding a French flap to the cover. It is an extension of the cover—front, back, or both—and the flaps can vary in width. Flaps change the book cover templates too. A hardcover book may have a printed cover wrap, be cloth bound, or have a faux cloth or leather cover. We have lots of choices! Books without printed covers, may have a foil stamp or permanent full-color image on a sticker. The book may also have a dust jacket or French fold dust jacket. The flaps on dust jacket can vary in width too. We will supply you with the diagram for either jacket, if needed. 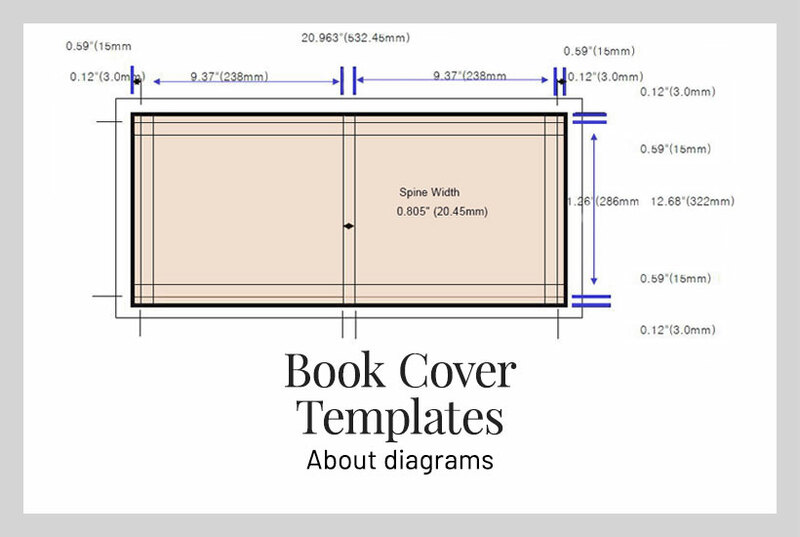 When you print books at Star Print Brokers, we supply the measurements for book cover templates. We send you a diagram for your specific cover. Take the time now to request a quote! All of our books are custom manufactured, printed on press, not on-demand, and printed at a reasonable cost. Get your quote, and your book cover templates at Star Print Brokers.